A modern family of two male and one female bald eagles are co-parenting their chicks in a nest on the Mississippi River in Illinois. The happy trio's three eaglets were born this month. 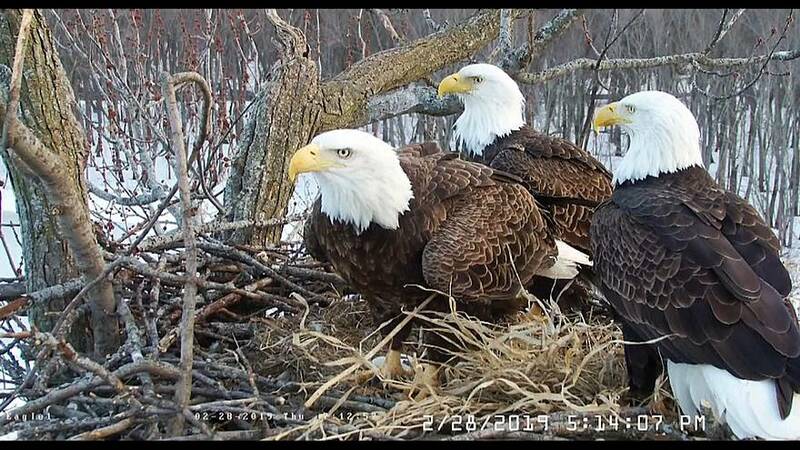 The two dads are named Valor I and Valor II, and the mother is Starr, according to the Stewards of the Upper Mississippi River Refuge, which hosts a live stream of the eagles' nest. Conservation organisation the National Audubon Society said it is rare to have three eagles sharing a nest, and males tend to be territorial. It added that what is even more remarkable in this case is that the two males stayed together and courted a new female after their first mate died.